In medium bowl, beat frosting and hazelnut spread with spoon until well blended. Frosts 13x9-inch cake generously. 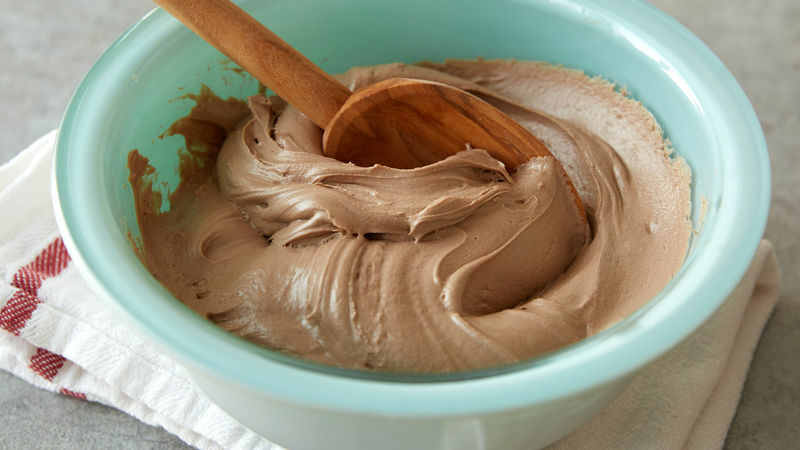 For even more chocolate flavor, try milk chocolate frosting instead of vanilla frosting. For best success, make sure cake is completely cooled to prevent pulling up crumbs when spreading frosting.